Serving the Portland Metro Area since 2004! 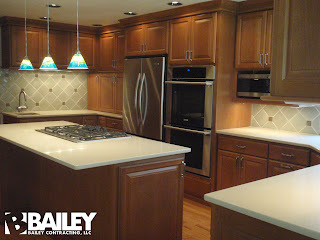 Bailey Contracting LLC, opened its doors in Portland, OR in 2004 focusing on honest, timely, and clear communication during the remodeling process. 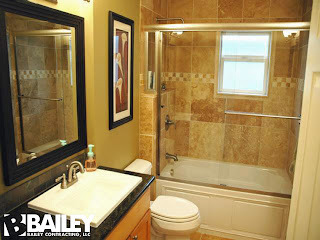 Specializing in Kitchen and Bathroom remodeling, we strive to make your renovation a positive experience. Having an established relationship with designer and industry professionals, we have built a team to make your vision a reality. We offer free consultations and estimates on jobs of varying sizes. By providing detailed bids our goal is to eliminate costly over-runs. 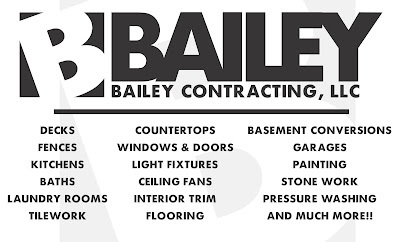 Bailey Contracting LLC has an A rating with the Better Business Bureau. We are licensed, bonded, and insured in Oregon.